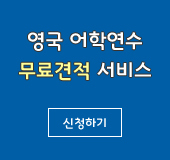 VOA 현장영어 - Do you know when the funeral will be held? 일상생활에서 자주 쓰는 용어를 배우는 시간 'VOA 현장영어', 오늘은​ 장례식에 관한 대화를 배워봅니다. A:Well, I have very sad news. B:Oh, I'm very sorry to hear that. A:Bob had heart surgery last year and lost his battle. B:Oh, I'm so sad. He was such a good man. A:Yes, he truly was. He will be deeply missed by many people. B:Do you know when the funeral will be held? A:Visitation will be 6:00 to 8:00 p.m., Thursday, April 23. B:I will attend the graveside service. * What’s up? “안녕?” “안녕하세요?”와 같은 가벼운 인사말로 사용하기도 하고 “무슨 일이에요?”라고 묻는 말로 사용하기도 하는 표현입니다. * pass away: 세상을 떠나다, ‘die’하고 같은 뜻이지만 어감의 차이가 있습니다. ‘die’는 좀 더 직설적으로 ‘죽다’라는 말과 비슷한 어감이며 ‘pass away’는 ‘세상을 떠나다’와 비슷한 어감이라고 할 수 있습니다. 누군가 돌아가셨다고 할 때 ‘pass away’가 좀 더 점잖은 표현입니다. * he truly was: “He truly was a good man.”을 줄인 말. * will be held: 행사나 의식 등을 거행하다는 의미의 ‘hold’의 미래시제 (북한: 미래시칭)의 수동형태로 바꾼 것입니다. ‘will take place’, ‘will be conducted’와 같은 표현입니다. * visitation: 장례식 1-2일 전에 고인의 얼굴을 공개하고 조문객의 헌화와 기도를 바치는 의식. ‘wake’ 또는 ‘viewing’이라고도 합니다. * graveside: 묘지 옆, ‘graveside service’는 고인이 묻힐 묘지에서 거행하는 장례식. 이제 대화 내용 중에서 “장례식이 언제인가요?”라는 표현을 활용해서 영어로 간단히 대화를 주고 받는 연습을 해볼까요? A:When will the funeral service be held and where? B:The funeral will be held at 11 a.m. Friday at Sunset Funeral Home. A:장례식이 언제, 그리고 어디서 거행되나요? B:장례식은 썬셑 장례식장에서 금요일 오전 11시에 거행됩니다. A:When will the funeral take place? B:The funeral will take place at 2 p.m. Friday at Sheffield Funeral Chapel. B:장례식은 쉐필드 장의교회에서 금요일 오후 2시에 거행됩니다. A:When will the funeral happen? B:The funeral will be conducted by the graveside on Saturday at 2 p.m. at Fairview Cemetery. B:장례식은 페어뷰 공원묘지에서 토요일 오후 2시에 거행됩니다.